These are the sculptmap textures. Not the actual sculpts. Click on the picture to download the zipped file. Unzip the file. You will have a folder of textures. Some will appear to be clear. But you can take them into your sculpt program to edit them or you can upload them to the grid of your choice. 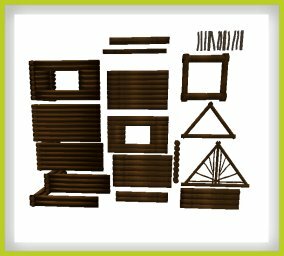 To make the sculpt build a prim box in word. In the edit window choose the “object” tab and choose “sculpted” from the “building block type” drop down menu. Click the sculpt texture box in that window and find the sculptmap texture that you want to use. IMPORTANT: Some of these need to be set on the sphere stitching type drop down menu and others need to be on the “plane” stitching, please read the inclosed notecard in your downloaded folder to know which stitching to use.